Exciting news, we have decided to reduce our Disney resort stay by 4 nights and add on a 4 night Bahamian Cruise aboard the Disney Cruise Line. 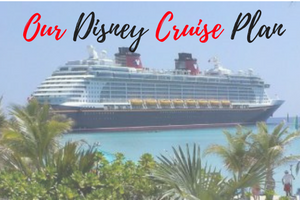 So this post is all about how we added a Disney cruise plan to our holiday and hopefully it will be of some help to anyone thinking of doing the same. This has always been a dream of mine, I have looked into it numerous times and as a first time cruiser I really do not know what to expect. So, I started to look into a 3 night cruise to keep it short and the cost down in case I really do not like Cruise ships! 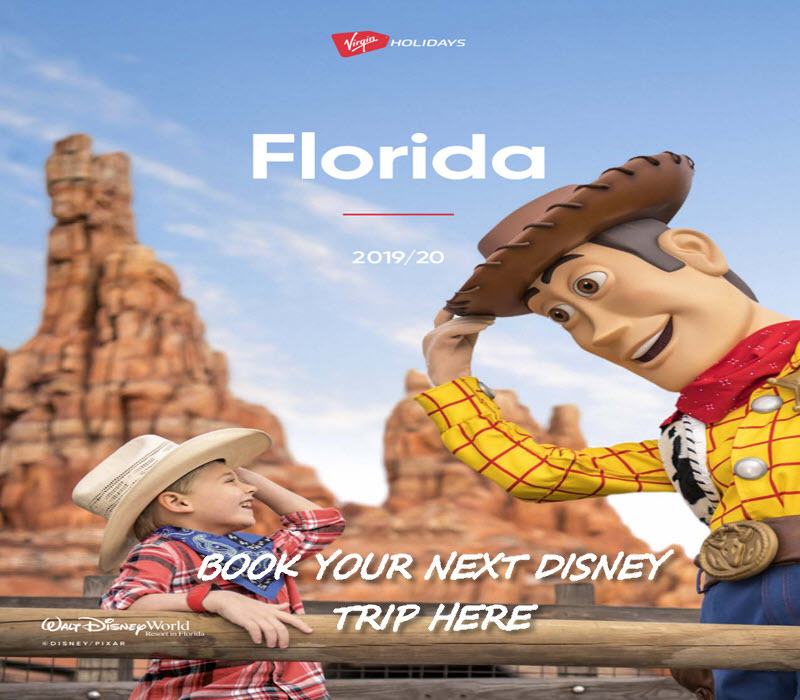 With flights to Orlando from London Gatwick and the cost of the cruise itself it really does work out to be a very expensive ‘test’ to see if you like cruising or not. I also looked into the Itineraries with DCL that depart from Dover (UK) so that we did not have to add any flights to the cost, but again, for a family of 5/6 the cost was a great deal. So, I had a brain wave……………why not add a cruise to our Disney stay in 2019! This would work out perfect, we already have the holiday planned for there, we would already be paying for the return flights, so I looked into it a little more and decided to suggest to the others that we could take 3 nights off of our resort stay and do a 3 night cruise around the Bahamas and then fly home, still making our stay 21 nights in total. My husband was in favor of this straight away, so we decided to see if Sharon & David would also be on board (pardon the pun), to our sheer excitement they were. So, we all looked into this together and discovered that the dates for the 3 night cruise didn’t really fit in with our holiday plans very well, we would have to fly out before we really wanted to in order to still give us all a decent length of stay at Disney, as that really is our main priority, this is just an added bonus for us all. 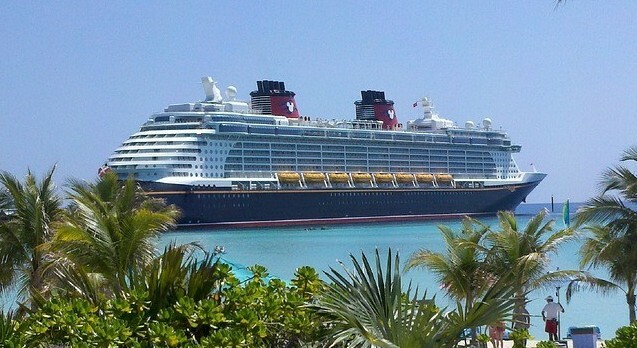 But, the 4 night Bahamas cruise on board the Disney Dream fitted in with our plans perfectly. We would get to fly out the day we wanted, stay for 17 nights at Disney’s Port Orleans, then the day we check out travel to Port Canaveral and board to Disney Dream for our 4 night Bahamian Cruise then fly home back to Gatwick, we all decided that it would be great to have it at the end of the holiday, not entirely sure how relaxing the cruise will be, but we hope to be able to relax a little after our adventures at Disney before flying home. I personally found it easier to book over the phone and talk to someone as I am not clued-up on cruising and they offered a lot of help and advice from www.Disneycruise.co.uk, I discovered that there were interconnecting rooms available which was a bonus, numerous stateroom variations, and obviously the price changes for all of these along with which deck you would like to be on. When looking at the map of the ship online, I was unable to find any rooms together or see prices for any inside staterooms at all. This is what made me phone them, the lady on the phone was extremely helpful and kind and it was a pleasure to deal with her rather than just booking online. She was able to find me 2 staterooms next to each other, and they were interconnecting, something I couldn’t do online, so I suggest phoning them to book if you want something in particular. She explained to me that inside rooms were not showing up because they sleep a maximum of 3-4 and in our stateroom we have 2 adults and 3 children. Everything seemed OK, she got me the rooms I wanted, suggested we chose starboard side of the Ship as it usually backs into Castaway Cay and if it does, we will have a great view of the Island from our room, which is something I would not have known. We have 2 Deluxe Family Oceanview Staterooms with Verandas, so this will be nice to look at from our room. She added on all the celebrations we will be having whilst away which will also be nice. I had to relay all the info and costs etc to the others so she very kindly reserved the 2 staterooms and all the booking, this was valid for 3 days. If I did not book within the 3 days then no money was taken and the staterooms would just become available again to others. The costing and plans were perfect, I did in the mean time phone Virgin Cruise line to see if it was possible to book just the cruise and add all of our holiday plans on at a different date (waiting for free dining), they said they could, but could not find me any interconnecting rooms with a Veranda or any connecting rooms on the Starboard side of the ship, so I am not entirely sure if Disney have more access than other travel agents to room choice or not, but it did seem that way as Disney had various options, but I chose deck 9. I did not want to risk losing the staterooms I had reserved as these were perfect, so after getting the go ahead from the others on the plans I simply phoned back, gave my reservation number from the confirmation email and booked up, was very simple, they guided me through, checked everything was correct and that was it………….we are going!!!! She explained to me to create an account online where I can see all my booking details, change or add items, see all of my requests and make payments easily. This has been very good. We have enjoyed watching YouTube videos, I have joined social media groups on DCL, and found out many useful hints and tips which I will put in a separate blog. I have since phoned Virgin to say that we have a Disney Cruise booked and could I book everything through Virgin to work around my cruise and they have assured me that this can be done with no problems at all, so if/when free Dining is announced we still have the option to book via Virgin Holidays or Disney holidays UK. Again, once we have booked, I will explain the reasons behind our choice of tour operator.